The glass panels are sandwiched between four black thumbscrews and silicone mounts and, with the thumbscrews removed, pull clean off. It's a more delicate affair than we're used to but it does give you full access to the interior. 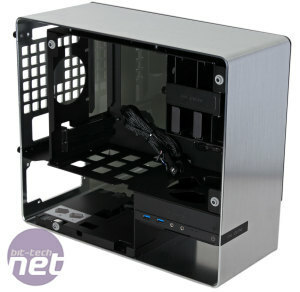 The metal inside the chassis is all aluminium, with the exception of a few small steel bars and the part to which the magnetic dust filter attaches. As such, build quality inside is excellent, and there are no sharp edges on the metal to speak of. The 901's interior is essentially split into two sections. 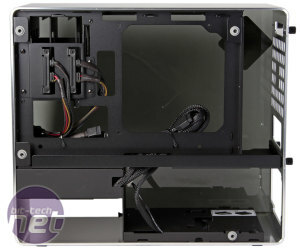 The main cavity is where you'll find the motherboard tray, which comes with pre-installed mounts and a large cutout for CPU coolers. 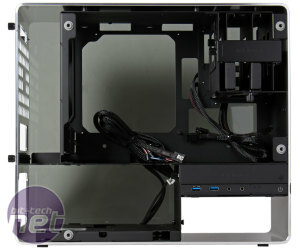 In the top corner is the drive mounting area, while the lower part of this section is reserved for expansion cards, for which there is 300mm of room, enough for most high-end modern graphics cards. 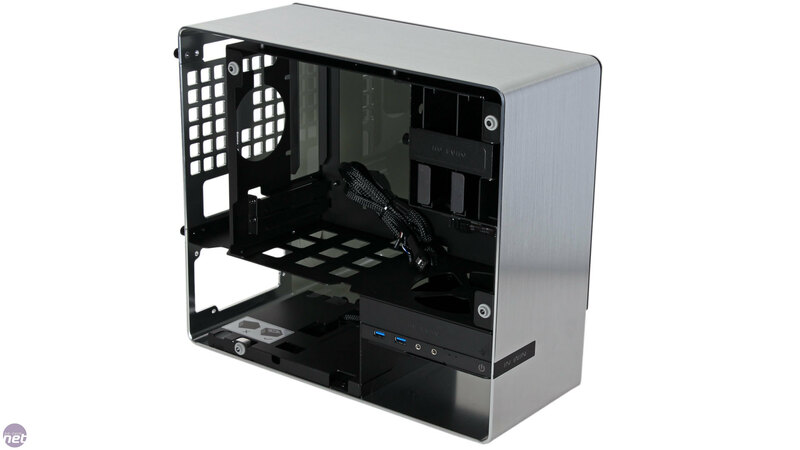 However, despite the vertical motherboard tray, CPU coolers are limited to 130mm due to the 901 being rather narrow. This means tower coolers are out of the question. 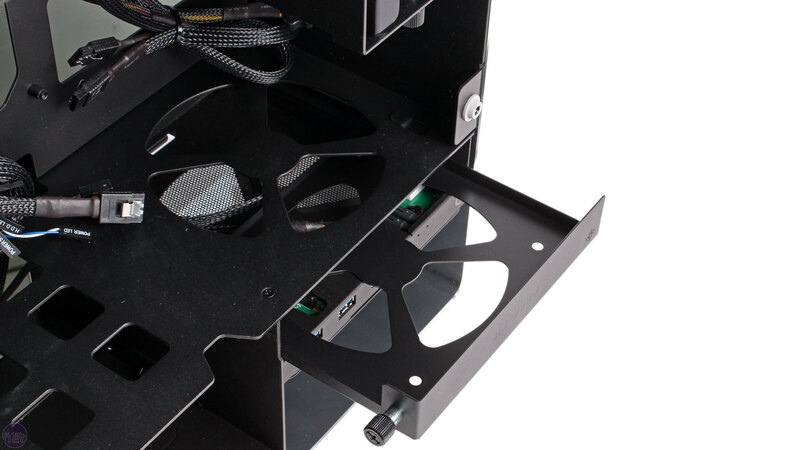 The lower area of the 901 is where the PSU is stored, right on top of the slimline ODD mount and with the case's 120mm front fan mount in front of it. Power supplies in the 901 are limited to 200mm, but really the shorter your PSU the better, as this lower section is also very useful for stashing unused or excessively long power cables. 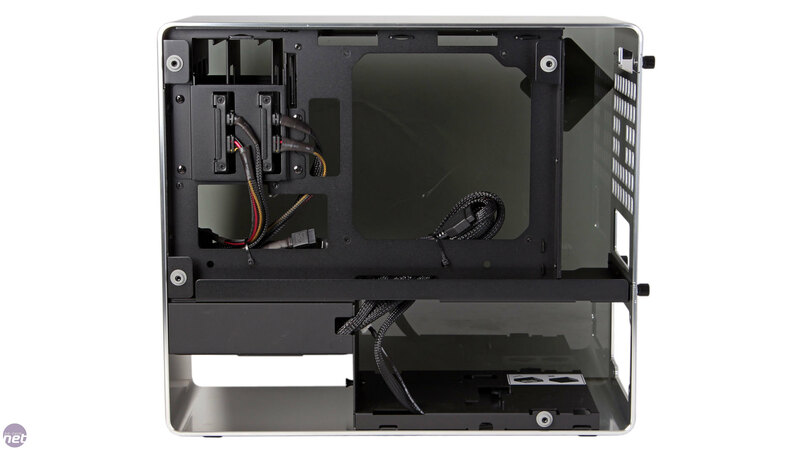 You'll also need to mount the PSU with the intake fan facing upwards, as the PSU is effectively sealed in once the side panels are attached, and it thus needs to draw its air from the main cavity. As the PSU intake fan is likely to be sitting right below a graphics card, the two components will be battling for air and the air the PSU does receive may already be warmed up a bit, As such, you'll want to ensure you use a high quality and efficient PSU. 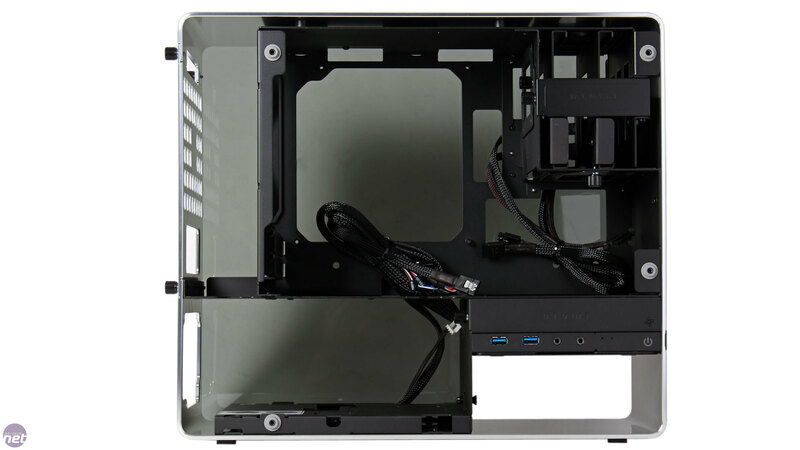 The cable management area behind the motherboard is a little too slim for our liking, and you'll definitely feel the benefit of opting for a modular PSU as well as a short or flat PSU cable set. However, there are also lots of cable ties provided and a good selection of holes and cutouts through which to route cables, including a couple along the top of the motherboard tray. 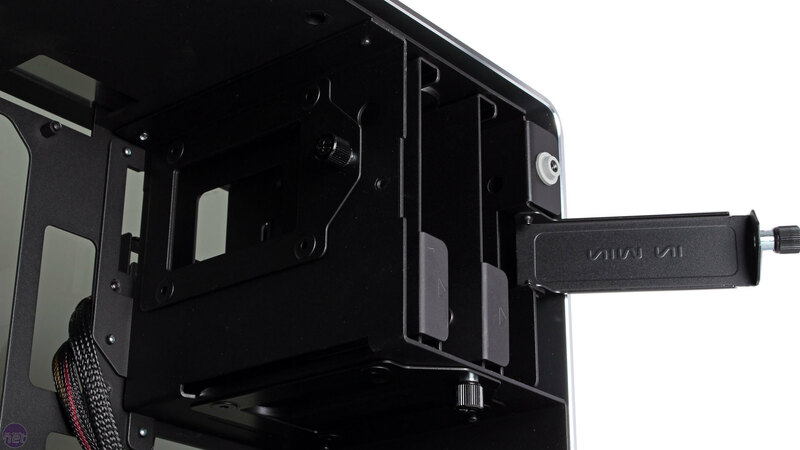 In-Win also provides a pair of really nifty sticky-back plastic cable clips which you can effectively place anywhere that a bunch of cables need clamping down. 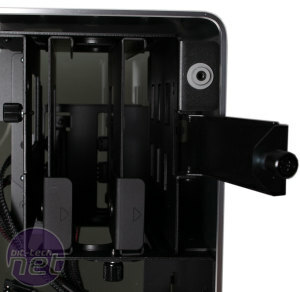 The company has also ensured that all of its own cables inside the chassis are sleeved in black to reduce their appearance through the two panels. 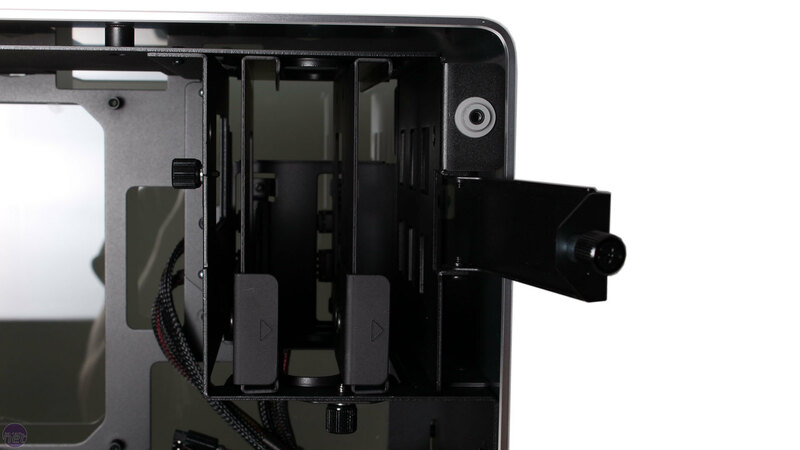 It may not look like it at first, but the drive cage in the top corner can hold up to four drives. 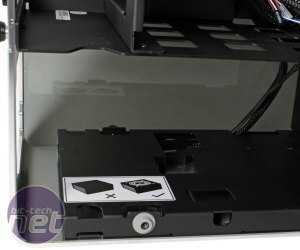 There are two 3.5-inch/2.5-inch drive bays that, like the ODD mount, have EZ Swap connectors at the back. A bar secured with a thumbscrew holds the two drive trays in place, and installing a drive is very quick and simple. 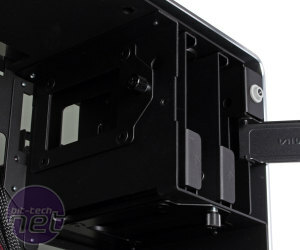 As well as these two drive mounts, you’re also able to mount two additional 2.5-inch drives using dedicated trays that are again held in place with thumbscrews – one on the back of the main drive cage and one beneath it. These are again easy to use, though as you'd expect there are no EZ Swap connectors for them. One criticism we do have of the 901's interior is its aversion to using rubber. 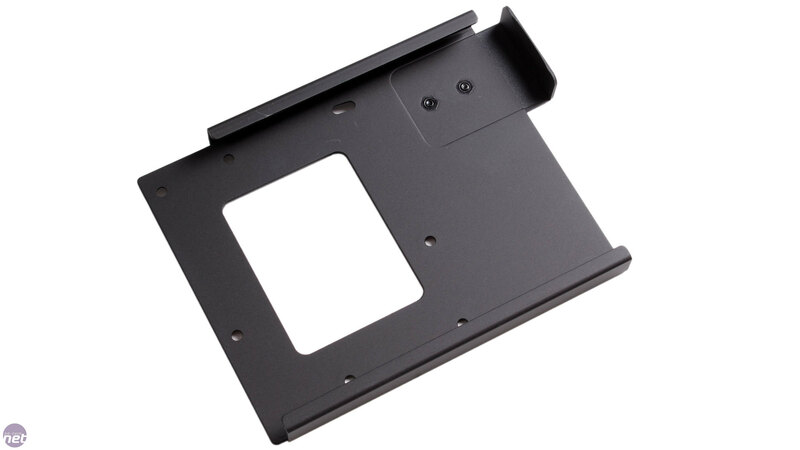 For example, there are no anti-vibration rubber mounts on the hard drive trays or in the PSU area, so these components may well have their vibrations amplified by the case's metal structure. 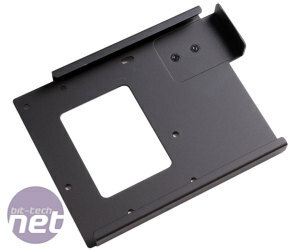 There are also no rubber grommets on the cable routing holes around the motherboard tray, which is a shame in this price bracket. We understand In-Win's commitment to form and not wanting to stray away from aluminium unless it has to, but were these featured to be included, they would hardly impact the case's aesthetics, if indeed they did at all, but they would provide tangible benefits for the user.